with Reserved Font Name “Germania”. 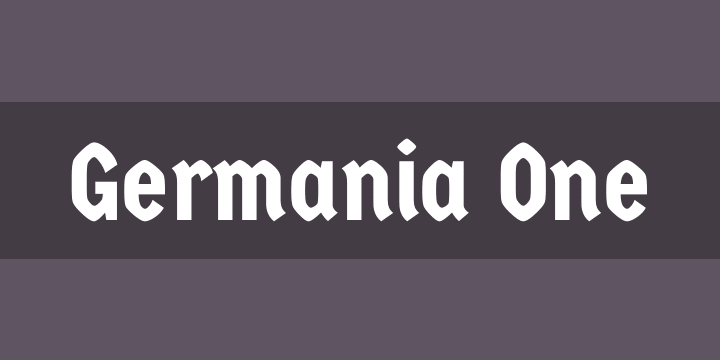 Germania One is a hybrid between two historical and functional concepts found in German typography, the old fraktur and the simplified geometric sans serif forms from the Bauhaus. I sought to create a new font that mixes these two styles to provide a new and original typeface. Something modern and at the same time old, reworking the geometric forms in a contemporary and expressive way.